The UK will remain a major contributor to European security, Barack Obama has said, as Nato and EU nations signed a deal focusing on the perceived threat from Russia. Mr Obama added he hoped for an “orderly” UK transition from the EU. UK Prime Minister David Cameron insisted that the UK would not “turn its back” on European defence following the Brexit vote. The agreement signed in Warsaw includes 1,000 extra US troops to be sent to Poland to reinforce Nato’s eastern flank. Tensions between the Atlantic alliance and Moscow are growing again. Russia’s seizure of the Crimean peninsula from Ukraine and the involvement of its troops in the fighting in eastern Ukraine has, in Nato’s view, “torn up the rule-book” for the way security matters are dealt with in the post-Cold War world. The EU and Nato joint declaration pledges to accelerate co-operation in the face of so-called “hybrid threats”, which include propaganda and psychological campaigns, cyber-attacks, and use of political, economic and energy pressure. 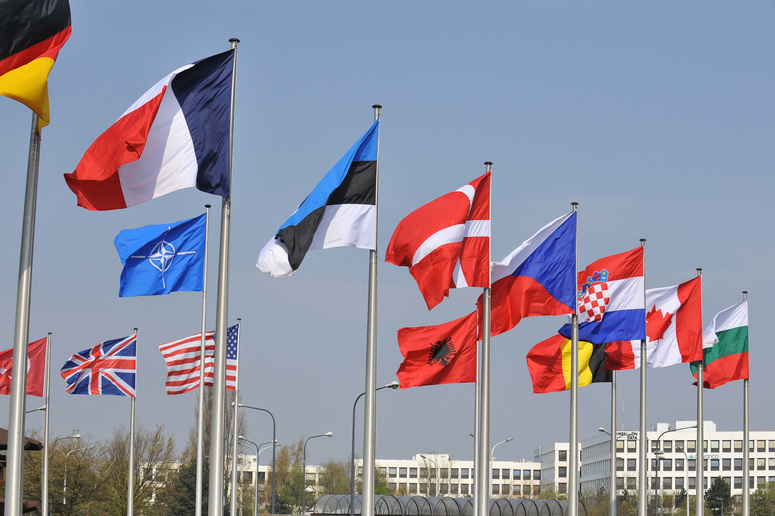 Nato members made the decision after Russia’s annexation of Crimea from Ukraine in 2014. However, Russia’s ambassador to Nato, Alexander Grushko, warned of a risk of a “spiral of confrontation”, by building a “new Iron Curtain”. He told the BBC that the decision would lead to “military consequences”. Under the deal four multinational battalions will be stationed in Estonia, Latvia, Lithuania and Poland made up of some 3,000 troops from the UK, US, Germany and Canada. A 500-strong UK battalion will be deployed to Estonia and 150 UK troops will be based in Poland. In 2017, the UK will also take over the running of a standby Nato force, with 3,000 troops based in the UK and Germany. Mr Cameron said the UK was the second-largest contributor to Nato and accounted for a quarter of all European defence spending. As the deal was announced, Mr Obama also expressed concern about the state of democracy in Poland, where the right-wing government is locked in a dispute with the country’s top court and has taken steps to exercise direct control over state media. Mr Obama said he had made his concerns clear to Polish President Andrzej Duda in a one-on-one meeting. The dispute concerns appointments to the constitutional court, as well as the rules governing how it functions. Poland’s new leaders say they are trying to correct an imbalance because appointments by the previous centrist government dominate the court. The move has led to street protests and the EU has launched an investigation into whether the Polish government is violating the rule of law.